“None of us work traffic on a regular basis. We volunteered to come help. That was our assignment when we got here, and we decided to make the best of it,” said Officer Samuel Smith. Smith was explaining to the BBC the dance moves he and 3 fellow S.W.A.T. team members made while directing traffic during the Democratic National Convention. “We just wanted to have fun and did it,” Smith said. Let’s take a cue from the Clayton County Georgia S.W.A.T. 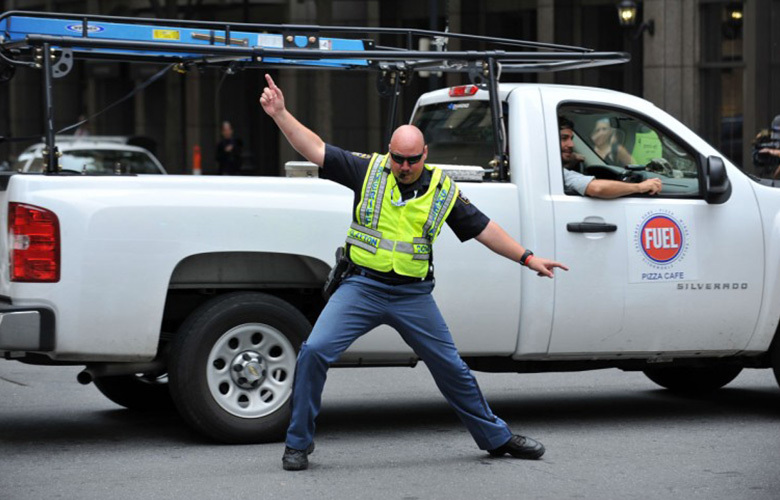 Team’s approach to directing traffic and knowing how to have fun. Almost anything can be fun. It’s up to us to make it that way.